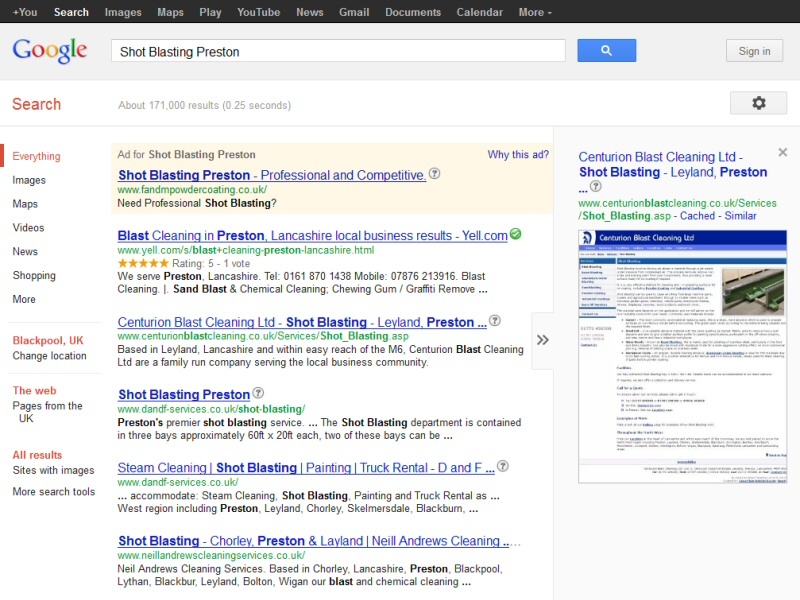 Local business ranked highly for search terms in the Lancashire and North West regionEasierThan SEO Services offer reasonably priced search engine optimisation services for business websites in Blackpool, Preston, Lancaster and the wider Lancashire area. In addition to Website Design and hosting, we can also help with the equally important task of getting your website found. Known collectively as SEO or Search Engine Optimisation, we offer a range of techniques and know-how to ensure your website appears for relevant searches within Google and other search engines. After all, a website won't generate you any work if no-one knows that it is exists. 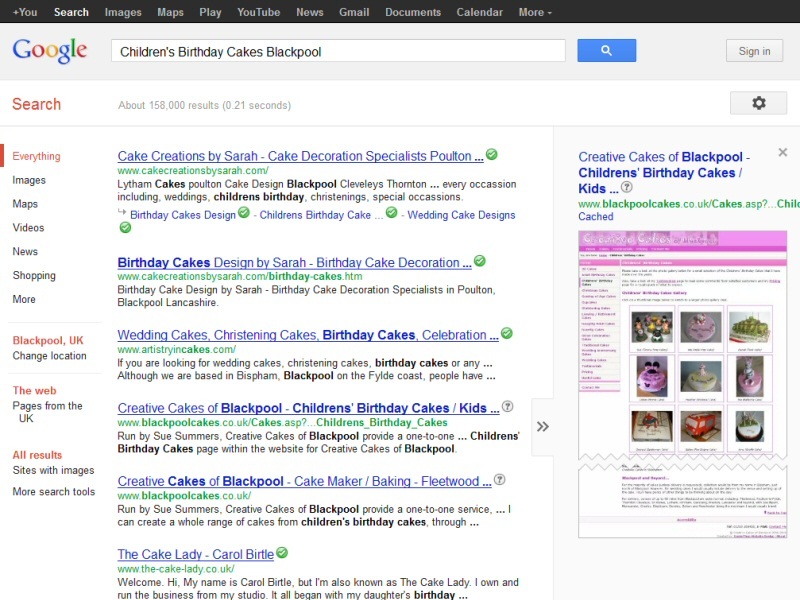 The most important task is to ensure the content of your website matches what you want to be found for. For websites created by a third party or yourself, we can review the content and then advise you or provide a managed service to edit it to a more suitable format for search engine indexing. Usually offered as a package, some of our other SEO services include submission to appropriate on-line business directories, Blog Authoring and Social Media Management for the likes of Twitter and Facebook pages. 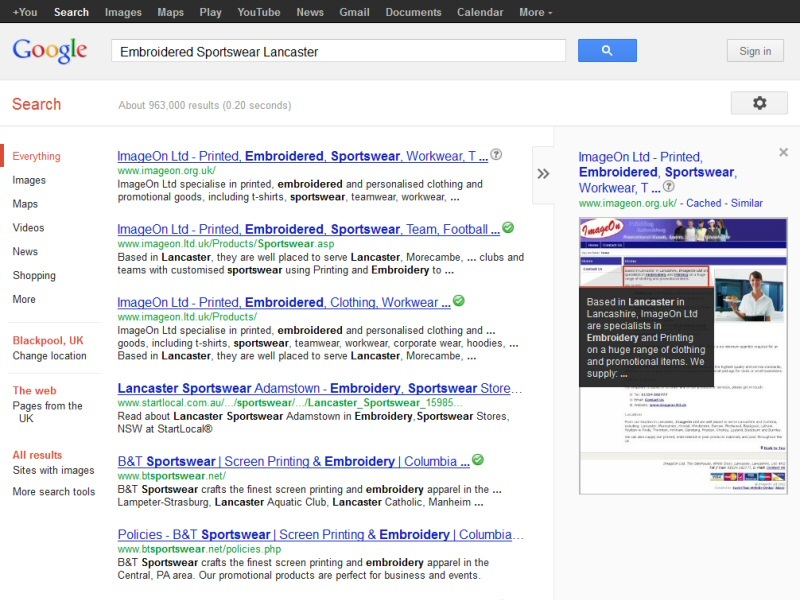 Getting SEO right is very important, as a badly promoted website can end up being black-listed by Google. We only ever use techniques that adhere to Google's strict guidelines and never contract work out to businesses or individuals outside of our control, such as third parties overseas. 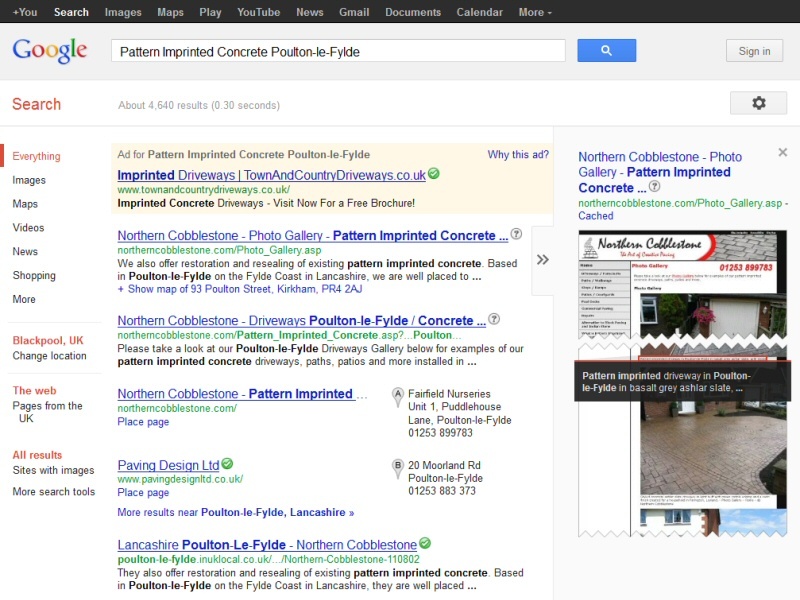 Why not Contact Us to discuss getting your website found on Google? Ongoing efforts to promote a North West business in a highly competitive field. Website in a lower than average competitive field which benefitted from strong keyword labelling and a small amount of additional SEO work. A very successful replacement website for a customer who had previously paid out for something which had run for two years and only produced two enquiries. 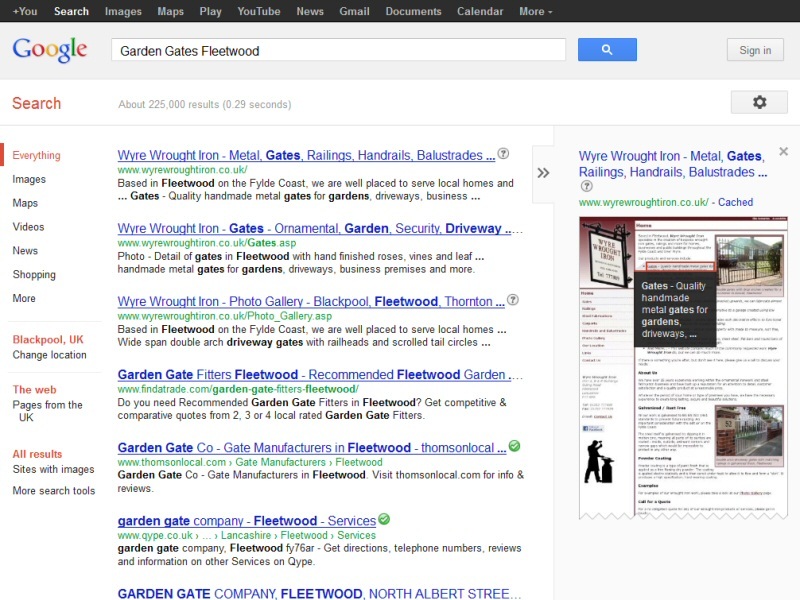 A good search engine presence helped this business in Lancashire pull in larger work from further afield. Creating specific photo galleries for each of this client's cake creations proved very effective in gaining better search engine positioning. We also offer Affordable Web Design with an emphasis on functionality, usability and most importantly, end results. For more information about our approach to web development, visit our About Us page. Testimonials from a number of customers are also available. Based in Cleveleys on the Fylde Coast in Lancashire, EasierThan SEO Services are well placed to offer SEO Services to companies, individuals and organisations in Blackpool, Preston, Lancaster and surrounding areas.